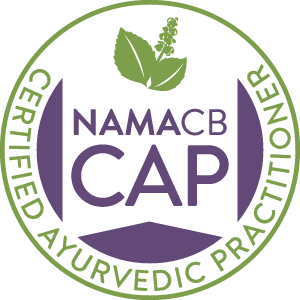 Annette Broy RN, CCM, E-RYT500, C-IAYT, CAHC and CAP is co-owner of Dragonfly Ayurveda and yoga. 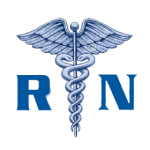 She has been a Registered Nurse for over 25 years and a Certified Case Manager for over 20 years. Her nursing career spans operating as a Skilled Nursing Home Licensed Administrator, Neuro Trauma ICU, founder of Kelnet Inc., a Managed Care Organization that specialized in workers comp case management in which she organized the care and wrote life care plans for castrophically injured clients. She co-owned with her husband Mike, Grace Health Services in which she contracted with the State of Missouri to care for seniors. Grace Health Services received a proclamation award from the State of Missouri for their outstanding work with Missouri seniors. 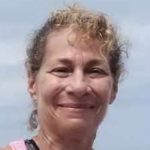 Annette received her 500 hour Yoga Instructor Certification and Aerial Yoga certifications under the teachings of Ginny East of Heartwood Yoga, Bradenton Fl. 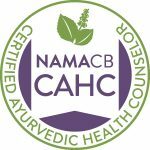 and over 700 hours for her Ayurveda Health Counselor Degree and 900 hours for her Ayurvedic Practitioner Degree under the teachings of Denise Davis O Dunn ‘Yashoda’ of Florida Academy of Ayurveda. Annette is an IAYT Certified Yoga Therapist that specializes in treating clients with traumatic injuries. 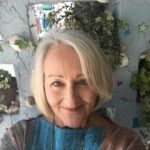 Annette teaches yoga, private instructions, Ayurvedic Consults and herbal formulations and yoga therapy. Annette's specialty is working with clients who have sustained traumatic injuries and those who have chronic illnesses. Annette has practiced yoga for many years and has personally experienced the many benefits of yoga. Her personal daily sadhana practice is Ashtanga Yoga and meditation. Annette has also completed multiple half marathons, full marathons, triathlons and a 70.3 Half Ironman Triathlon. Annette believes that Ayurveda and yoga is a lifelong study and continues her education in Ayurveda and Yoga by attending workshops under world renowned R. Shrath Jois, KPJAY Ashtanga Yoga Institute, Mysore India, Kino Macgregor & Tim Feldman, Miami Life Center, Miami Fl., and Jessica Trese of Yogani Studios, Tampa Fl. 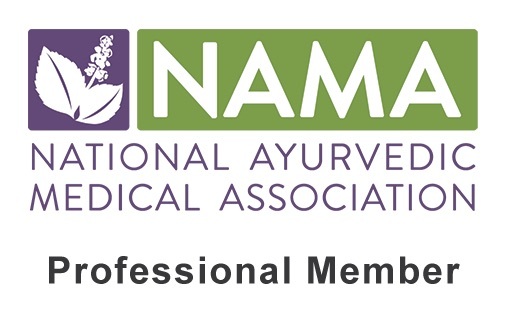 and numerous NAMA (National Ayurvedic Medical Associations) conferences. 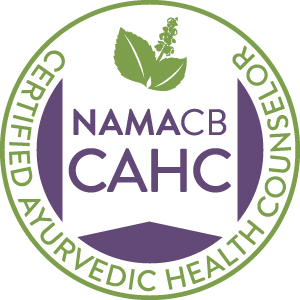 Sign up today to find out how yoga, yoga therapy and/or Ayurveda can truly transform your life. 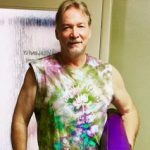 Mike is co-owner of Dragonfly Ayurveda and Yoga. Spirituality has always been at the top of Michael’s intrigues. From a young child his interest in the arena of “Something Bigger Than Ourselves” has had its draw on his heart and soul. Michael is a graduate of Rhema Bible Training Center in Broken Arrow, Oklahoma, and has been an Ordained Minister for over 25 years. He has been involved in every area of the church ministry from youth and children’s ministry to Sr. Pastor. 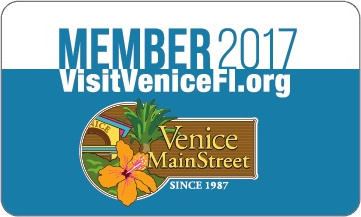 He has received his 200 hour Yoga Instructor Certification under the teachings of Ginny East of Heartwood Yoga, Bradenton, Fl. Michael’s message is one of Grace. “God’s love and grace are bigger than one could ever imagine. While God may work in mysterious ways, the God of the work wants to be known and understood. Faith is more than a list of do’s and don’ts or trying to achieve. At the heart of faith is an evolving, growing relationship with a loving God,". 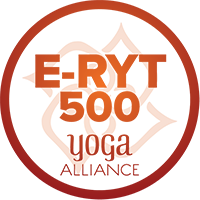 Edina is a certified RYT-500 yoga teacher through Heartwood Yoga in Bradenton Florida. Edina has been practicing yoga for more than 13 years, studying with talented and inspiring teachers in New York, Massachusetts, and Florida. While her yoga journey has led her to practice a variety of yoga styles, Edina’s personal practice resonates most deeply with Vinyasa Flow, bringing a quality of moving meditation to the mat. Yoga allows us to tap into our deepest essence, bridging body, mind, and spirit through the breath. While the practice connects us with our inner wisdom, it is by taking our yoga practice off the mat and into our daily interactions with others that we may find its deepest rewards. 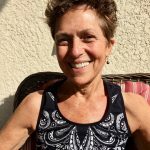 Edina’s intention is to help her students connect with their heart center through the practice of yoga and to carry that grounded, authentic experience into their daily lives. 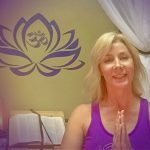 Edina teaches Moderate Hatha Flow and Restorative Yoga at Dragonfly Ayurveda and Yoga in Venice, Florida. Mary has moved back to New York to be with family. We are so blessed to have had Mary as a part of Dragonfly. We wish her the all the best and success and know that everyone she touches will be blessed by knowing her as we did. Namaste' Mary. Until our paths meet again. I am forever grateful for having had the opportunity to share my yoga practice with the wonderful people at Dragonfly. Each and everyone of the students became my teachers to lead me in my own yoga journey. Annette, thank you for placing your trust in me so that I could explore offering countless new classes. You will all be forever in my heart as I continue on my life's path. After so much prayer and meditation, I knew this decision was truly the right one to make. May each and everyone of you at Dragonfly deepen your own practice and find peace in your hearts. At 52 I walked into my very first yoga class . I felt an immediate connection. This was something I knew would change my life! With steady practice I witnessed all the "blessings "that yoga bestows. In 2012 I completed the 200 hr Ha-tha method teachers training certificate followed in 2016 with chair yoga certificate. I taught yoga flow and yoga on balance ball for 5 years at Stillpoint Yoga in Blairstown NJ. I feel so fortunate to be part of the Dragonfly community and look forward to seeing you on the mat! My yoga journey began in 2007. Burnt out from 25 years of doing research work at Northeastern University in Boston MA. I knew I needed a change. I was in my early 40”s and unable to conceive due to the stressors of commuting and general urban life. My doctor recommended yoga. As some one who grew up on no pain no gain mentality, and with no understanding of what yoga was, I mocked the idea. I kept getting stiffer, was always exhausted, and frankly looked awful. I decided I would give yoga a whirl. Long story short, I fell in love with the practice. I gave birth to an amazing baby boy at 43, and wanting to give this gift to others completed my first 200 hour teacher training at Finding Inner Peace Yoga School in 2010 in Boston MA. Over the last decade I have discovered that yoga is an ever evolving practice that will meet you where you are in life and support you in whatever challenges you may face. Yoga is for EVERY BODY. Regardless of age, gender, size or physical limitations. Yoga can and will transform your life. I am extremely passionate about yoga and am committed to guiding you on your personal yoga journey. Laurie found a life-changing path when she discovered yoga. Helping others continues as a guiding principle of her life. She is a life-long learner and educator and is a graduate of Dragonfly’s 200 Hour Yoga Teacher Training Program. Now that Laurie has found the path of yoga she is thrilled to be on a new journey and share it with others. Timi McMillin E-RYT-200, RYT-500, YACEP. Timi’s interest in yoga began in 1997 with her own personal practice. She began teaching in 2001. She has had the influence of many teachers and has attended various yoga workshops lead by Erich Schiffmann, Shiva Rea, Tias Little, Scott Blossom, David Swenson and Sarah Powers. 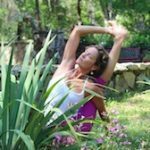 She has completed both her 200 and 300 hour Yoga Teach Training and is certified and registered through Yoga Alliance as an Experienced 200 Hour Teacher, 500 Hour Teacher and a Yoga Alliance Continuing Educational Provider. Timi strives to teach, inspire, and empower the individual of all levels and ages to look inside and discover that the thing they have been looking for has been with them all along, the ability to heal ones self with the breath, one inhale and exhale at a time through movement and meditation. Timi is owner of Unity Yoga and Wellness in O'Fallan Illinois.